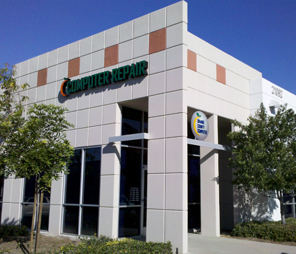 Orange County Computer®, the parent company of OC Cloud 9 has proudly served the Lake Forest Community and local businesses since 1998. We are excited to participate and support this event by offering valuable discounts! Great food and discount promotions are available from Businesses Citywide! The coupon books are currently being mailed out and distributed to all Lake Forest residents and businesses this week. The coupon books will feature all participating vendors and the amazing discounts that are available during this event. There are 100 more businesses featured this year from last year. Shop and Dine Lake Forest Week began on, September 7th. Local businesses had a Super Savings Launch Party from noon to 3 p.m. at The Orchard Shopping Center on El Toro Road and Rockfield Blvd. The first 500 “people” received a FREE giveaway bag filled with with the official Shop and Dine Lake Forest Week Coupon Booklet and discounts and promotional items from Lake Forest businesses. There was be live performances and Family fun activities. Raffle prizes included a 1 year membership to Crunch Fitness, Oakley eyewear, $100 Visa gift card, Electra Cruiser 1 Beach Cruiser, restaurant gift cards, and much more! This year Shop and Dine Lake Forest Week is featuring several community participation contests. There is a Savings SuperHero Contest. This contest is open to the entire community. The “saver” that redeems the most coupons during Shop and Dine Lake Forest Week, and consequently has the most stamped coupons in their Booklet, will be named the “Lake Forest Savings Superhero.” The winner will be recognized on stage at the Taste of Lake Forest on Sunday, September 14, and awarded the “Super Savings Grand Prize” containing gift cards to Lake Forest restaurants and shops. Participants must present their stamped coupons by 3 p.m. at the Taste of Lake Forest. Also join us on Sunday, September 14th, for the the Third annual Taste of Lake Forest, from noon to 4 p.m. at the Foothill Ranch Towne Centre Food Festival where you can sample delicious food from more than 20 Lake Forest restaurants for only $10.00. When you bring your Shop and Dine Lake Forest Week coupon booklet you receive one raffle ticket for every stamp you have! The Taste of Lake Forest will feature great family entertainment and a chance to win some fantastic raffle prizes. Look out for our Shop and Dine Lake Forest Promotion for a 50% off Cloud Mail Setup and a Complimentary Cloud Assessment! Visit us 50% off Cloud Mail Setup and a Complimentary Cloud Assessment to and receive a stamp to earn a chance to win raffle prizes at the Taste of Lake Forest on Sunday, September 15th! For information on how to participate in this citywide event, contact us at (949) 699-6619 or the City of Lake Forest at (949) 461-3400. For a complete listing of all businesses and deals, visit the City Website.